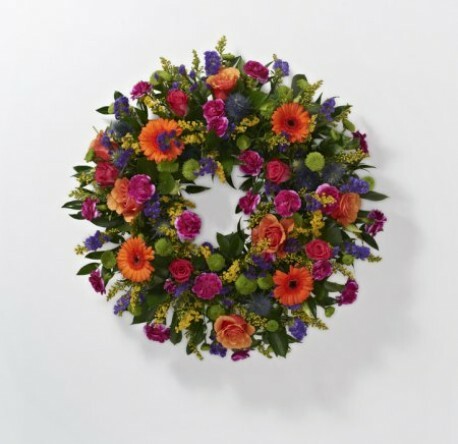 Flowerscene offer this fresh vibrant wreath, suitable for a funeral or rememberance. 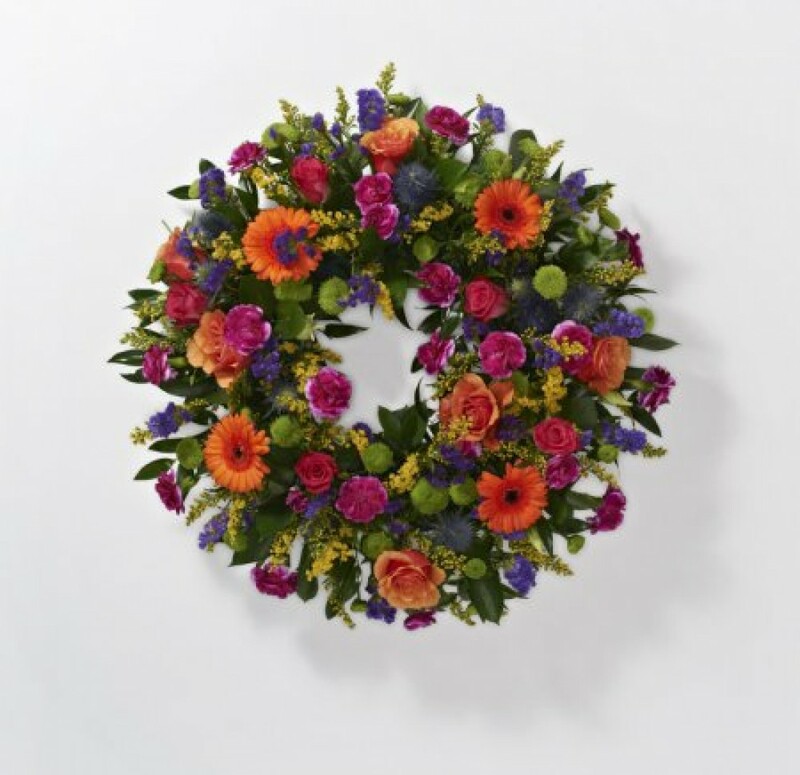 The colour combinations in this wreath create a striking statement. If alternative colours are required please inform us when ordering or you can call Flowerscene on 01224 712596 to discuss your preferences. Colours can be specified for this flower tribute.